Forensic nursing involves the intersection of the health field and the legal system. It’s a specialty of nursing that focuses on the treatment of patients who have suffered trauma due to violent crime. Common issues forensic nurses will encounter are domestic violence, assault, neglect or even child abuse. These nurses are experts in collecting medical evidence related to these kinds of criminal cases, as well, according to the American Forensic Nurses. These nursing professionals play an integral role to serving victims of violent crime and aiding in the prosecution of criminals. Forensic nurses are uniquely positioned to provide expert care to victims of trauma or violence. They have the bedside manner and medical knowledge to first treat the patient medically. The knowledge of the legal system and collection of evidence helps forensic nurses to add value to the work of legal professionals and officers of the law. These nursing professionals are experts and identifying injuries, evaluating medical trauma and documenting observances. While attending to patients’ medical needs, a forensic nurse will simultaneously be collecting evidence. These nurses are often called as expert witnesses to provide testimony in court. A Bachelor of Science in Nursing, or BSN, is the basic educational foundation of becoming a forensic nurse. This program will not only teach clinical assessment and skills, students will utilize additional assets such as the ability to think critically and to analyze. The BSN curriculum contains coursework in anatomy, pharmacology, nutrition, physical assessment and physiopathology, among others. There is also a clinical component to each BSN program requiring students to participate in rotations and hands-on experience at a participating medical facility. During a BSN program, students may elect to choose a specialty such as pediatric nursing, critical care, surgical nursing, community health or psychiatry. After completing the coursework and clinical portions of a nursing program, students are required to pass the National Council Licensure Exam, better known as simply the NCLEX. This exam is required of all students in an accredited nursing program in all 50 states. There may be additional requirements in specific states that must be fulfilled, as well. Once all requirements are passed and fulfilled, the student is then considered a Registered Nurse or RN. Once an RN has graduated, it is possible to obtain specific training in forensic medicine. Two popular options include taking a short postgraduate certification program specifically in forensics or enrolling in a two-year Master of Science in Nursing (MSN) program with an emphasis in forensics. Continuing coursework in both are available in some nursing programs. It is in these programs where nurses will learn such specifics as recognizing abuse and neglect, performing clinical investigations and collaborating with law enforcement. 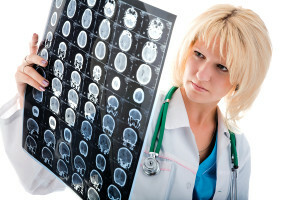 Jobs graduates of a program in forensic medicine can obtain are death investigator, nurse coroner, legal nursing consultant or forensic psychiatric nurse. They may be employed in an emergency room, coroner’s office, courts, corrections, attorney’s office or with another law enforcement agency. Becoming a forensic nurse opens a number of doors for nursing professionals to help the community. Forensic nursing can be stressful, but it is a rewarding career for those who want to make a difference.